Last week I was at the dentist getting a filling. This is what happens when you move to a town that doesn’t have fluoridated water. Previously the water of Hamilton, Auckland and Wellington kept my teeth so healthy I barely had any fillings, but Waikato District’s no-frills water has now necessitated that I use a super-fluoridated mouthwash once a week in order to protect my teeth and/or become a compliant sheeple. So I was lying in the dentist’s chair with the relevant part of my mouth in a state of pleasing numbness. Getting a filling is kind of boring, so I started thinking about what I’d done on the weekend, but then I was distracted by the radio. Something that sounded like a cross between the Smiths and UB40, but obviously wasn’t because a) that would be awful and b) ZM wouldn’t be dumb or clever enough to play it. I knew that a few of those songs had been number one in New Zealand, so once the filling was in and polished, I checked. Indeed, all but “Next to Me” (which was number six) were number one singles. And I thought, is that all it takes to programme one of New Zealand major commercial radio stations? Is it just an algorithm that makes a list of number one songs from the previous eight years, throws in a few iconic top 10 hits, puts them in a random order and squirts them out in between the DJ’s madcap banter? If so, I could totally be the programmer for ZM. And I could do it from a dentist’s chair. Bits of central-east Auckland recently suffering a major power outage. Comedy rule: it’s funny if it affects to someone who lives in the posh bit of that area (lol how will they get their lattes!!!!!!) but it’s not funny if if affects someone in the poorer area, especially if it’s someone who’s had to go into hospital because their home dialysis machine won’t work. This got me thinking about the Auckland power crisis of 1998. It didn’t affect me much. I lived outside the blackout zone in Auckland’s CBD (lattes galore!!!!!!) but my workplace, on Newton Road, was right on the fringe. The office wasn’t supposed to be affected, but the power kept going off – I think it was due to repairs or diversions. There was a generator sitting in the car park, so that was fired up and extension cords ran everywhere. There wasn’t enough capacity to have all the computers running at once, so we had to take turns. For an internet company, there wasn’t a lot of paperwork to do. Once all the filing had been done, it all just turned into a general afternoon mucking around and bonding session, with a few people working hard on the remaining computers. After work one day a workmate and I went sightseeing in downtown Auckland, but closed shops and dead traffic lights have limited appeal. We ended up going to Starbucks in Parnell where the electricity was rich and plentiful and there were lattes galore. Between 2001 and 2008, this was the book I rested my laptop on. I borrowed it from my dad’s bookcase to protect my lap from the scorching hot underside of my fancy new iBook. I had read the book, but I didn’t think too much about its contents. 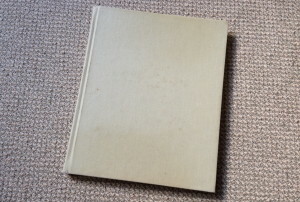 The shape of the book was of more interest to me. But then people started talking about the book. 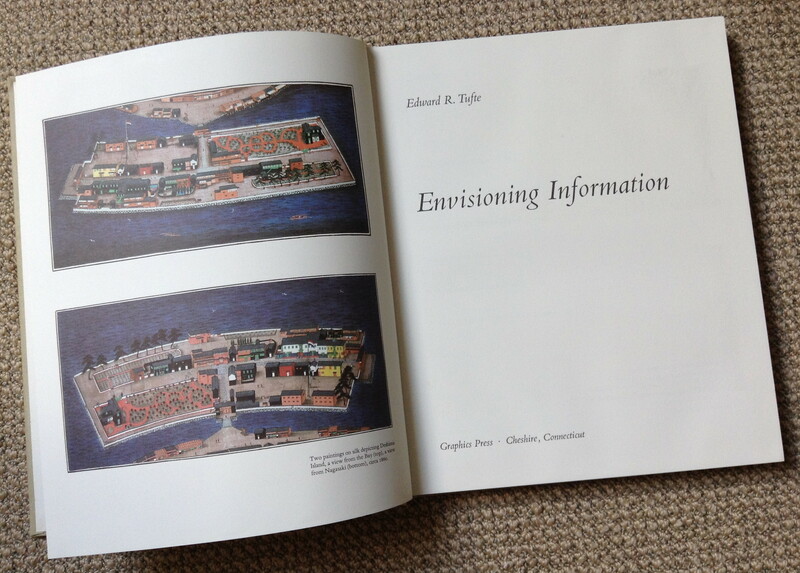 As it happens, it’s Envisioning Information by Edward Tufts, which is like a seminal tome on the world of data visualisation, or dataviz if you’re cool like that. I think data visualisation is basically colourful diagrams and pretty maps. 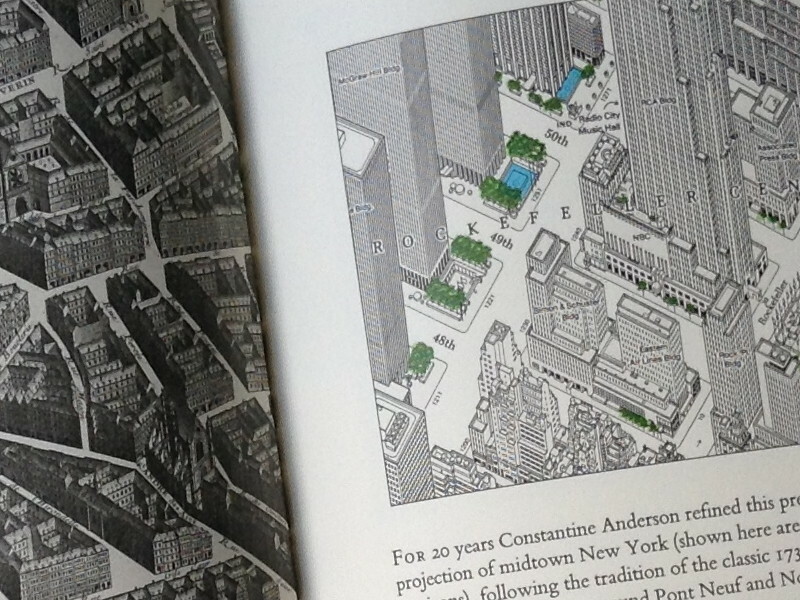 Except you are less interested in the actual content of the diagram or map and more interested in its datavizness. “Wow, great dataviz,” you say as you admire the multicoloured map that shows there’s a giant sinkhole under your house. My current laptop is solid state and disappointingly doesn’t get hot. I woke up this morning at about 8.30, except I didn’t know what the time was because my clock radio screen was blank. After making sure it wasn’t my fault (power bill – paid; fuses – all present and accounted for), I rang Vector. I knew something was up when instead of getting through to Vector, I got the overloaded recording from TelstraClear. By noon I decided to get out of bed and get in the shower. Fortunately I had plentiful hot water, but unfortunately I still couldn’t wash my hair because my hair dryer was inoperable and I didn’t want to sit around with wet hair. I went for a walk down to the Mt Eden shops and discovered most of them were shut. But I was enticed by the candlelit Time Out bookshop, so I wandered in and saw that Douglas Coupland’s latest novel, JPod was in store, so I bought it with a manual Visa payment. The lady behind the counter had never used the zip-zap machine before, but I reminded her that if it was good enough for our forefathers in the ’80s, it’s good enough for us today. I was due to start work at 2.30, and for a while it looked like I might not have to go in, but sure enough the power came back on and I was called to the office. I made another visit back down to the shops. The lights were on at the bank, but no one was inside. “You ain’t nothin’ but a hound dog” was blasting from inside a fully lit cafe, but no one was in it. It was rather spooky.